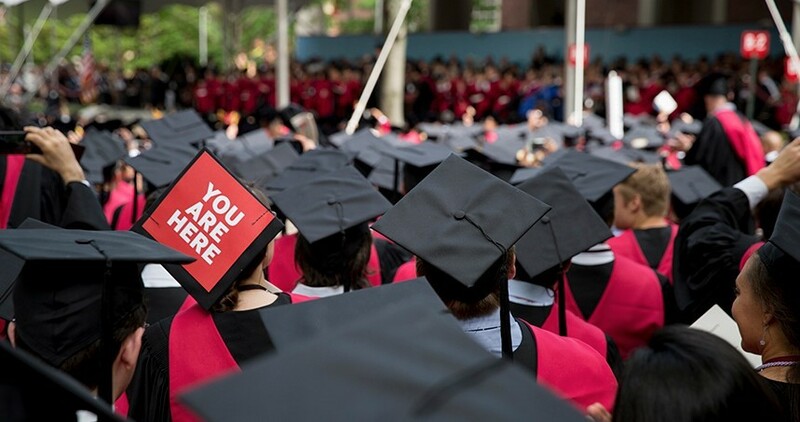 The HKS Management, Leadership, and Decision Sciences Faculty (The MLD Area) invite all HKS degree program students to join us for our Shopping and Welcome Event on Tuesday, September 4th, from 6:00 – 7:00pm in the Wexner Commons. The purpose of this event is to provide students with a centralized opportunity to hear about courses in Management, Leadership and Decision Sciences, to meet the faculty, as well as to hear about the numerous related co-curricular activities in the MLD space. Examples of the latter include the Behavioral Insights Group (BIG), Social Innovation and Social Change Initiative (SICI), and the Kennedy School Negotiation Project (KSNP). Faculty in attendance will provide detailed overviews of our course offerings, and will introduce the MLD Certificate program. Plus… there’ll be pizza! Should you have questions, please contact MLD Area Administrator, Greg Dorchak at greg_dorchak@hks.harvard.edu We hope you will join us on Sept. 4th! Please note: This event is not meant to be a substitute for the regularly scheduled MLD course shopping sessions taking place during the day on 9/4 and 9/5 at which you will hear in much greater detail about the fall and January courses. 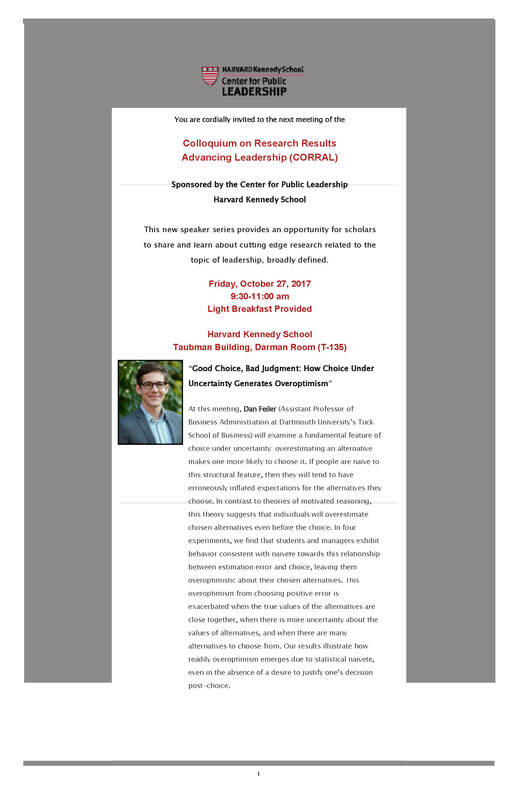 Presenting Dartmouth Professor Dan Feiler, Oct. 27th at 9:30am. Full details below.